Alaffia's Authentic African Black Soap is made from a centuries-old recipe of handcrafted shea butter and West-African palm oil†. Saponification is provided by adding ashes to the hot oils, then cooking it for six hours. That last step is curing the soap in the sun for three weeks, resulting in a gentle hand and body wash. 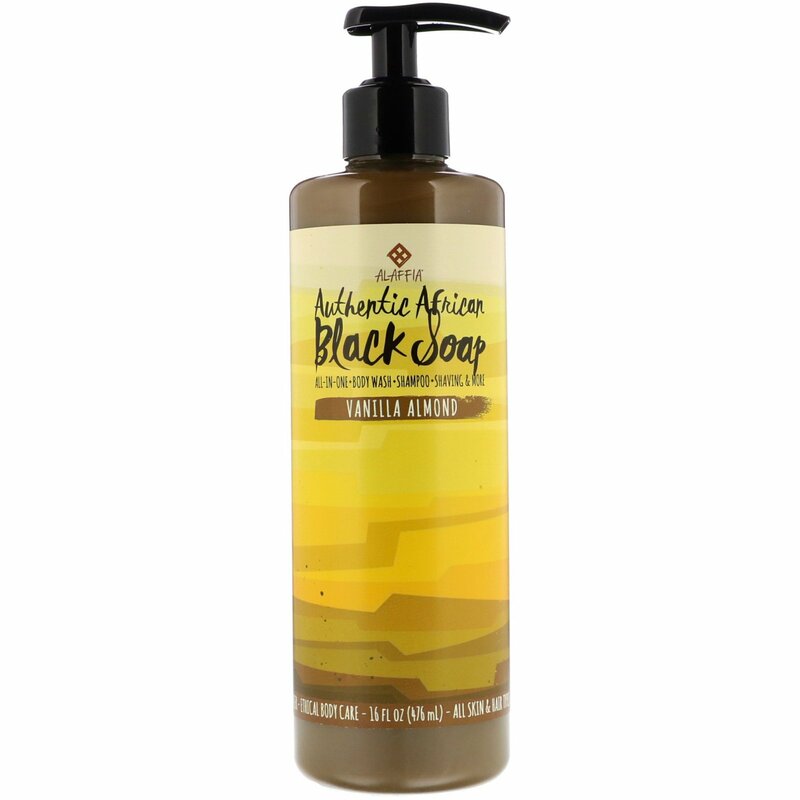 In West Africa, black soap is known by its Yoruba name, Osse Dudu. Dudu means "black", which comes from extensive cooking of the soap to the point of charcoal. Many cultures in West Africa use charcoal to detoxify and purify the skin. Shampoo: Apply to wet hair and massage into a rich lather. 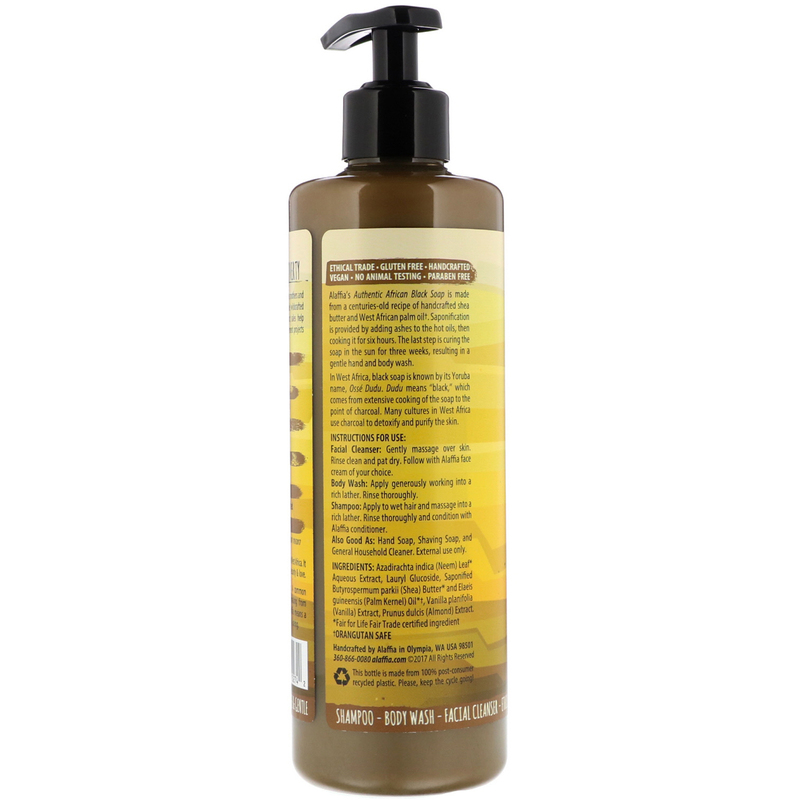 Rinse thoroughly and condition with Alaffia conditioner. Azadirachta indica (neem) leaf aqueous extract, lauryl glucoside, saponified butyrospermum parkii (shea) butter* and elaeis guineensis (palm kernel) oil*†, vanilla planifolia (vanilla) extract, prunus dulcis (almond) extract.